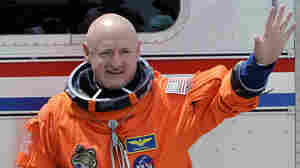 March 27, 2015  During astronaut Scott Kelly's year in space, scientists will compare his physiology with that of his twin brother, Mark, to study the effect of prolonged space flight on the human body. 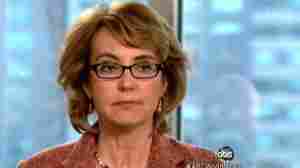 September 23, 2013  Former U.S. Rep. Gabrielle Giffords of Arizona was honored over the weekend for her service to the public by Scripps College. Her alma mater awarded her the school's highest level of recognition: the Ellen Browning Scripps Medal. July 6, 2013  Severely wounded by a gunman in 2011, the Arizona Democrat is pushing to close the so-called gun show and Internet loopholes. 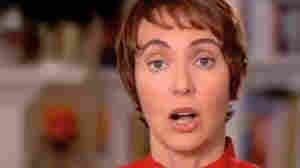 She and husband Mark Kelly are taking their campaign directly to gun owners. 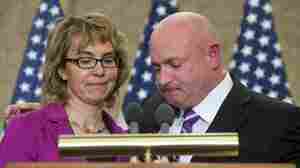 April 24, 2013  A pro-gun control superPAC started by former Rep. Gabrielle Giffords and her husband, onetime astronaut Mark Kelly, launched radio ads against Republican Sens. Mitch McConnell and Kelly Ayotte for voting against bipartisan background check legislation.